Most home water conditioners use only a sceond-stage softening mineral in their filtration process, but Radiant Water sets its standards higher. 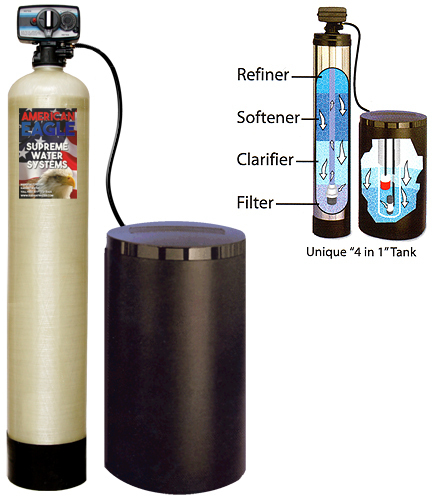 American Eagle Water systems have a 4-stage filtration system. The 1st-Stage uses a charcoal filter to remove undesirable taste, odors, and chlorine. Softening mineral re-filters water and removes iron.